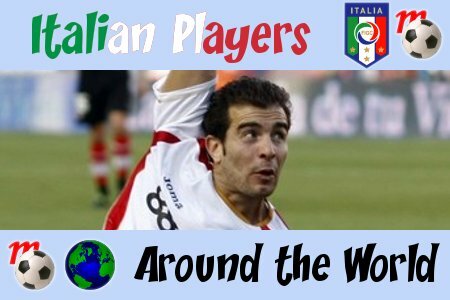 Our weekly Italian Players Around the World segment is back!! Inspired by Gazzetta dello Sport, here are the performances of all Italian soccer players operating in foreign European leagues (top divisions only). There are currently 31 Italians playing in first divisions abroad, and 17 of them stepped on the field this week-end. Appearing for the first time ever in our segment, we find Kilmanorck’s Manuel Pascali. Starting his career at AC Sant’Angelo, Pascali is not exactly a well-known figure in Italian football. Playing in Serie C for the majority of his career, he featured on the roster of Parma during the 2007-08 season but never stepped onto a Serie A field. Maybe that was a good thing, since we all know what happened to the Gialloblu season (but I digress)… Now in full force at Scottish Premiership club Kilmarnock, he has become a favorite of manager Jim Jefferies who now features him regularly in the starting eleven. This week-end in fact, Pascali was wearing the captain’s armband in the absence of Gary Locke, and led his team to a great 2-1 away win over Hearts. Good work laddie!! Also, he didn’t score this week-end but Enzo Maresca‘s performances at Sevilla are getting better and better. The Rojiblancos steamrolled Athletic Bilbao 4-0 on Sunday, and Enzo was once again a big leader of the Andalusian midfield. Just how long do you think, before this guy grabs the attention of Marcello Lippi huh? This entry was posted on Tuesday, October 7th, 2008 at 5:39 pm	and is filed under Italian Players Around the World. You can follow any responses to this entry through the RSS 2.0 feed. Both comments and pings are currently closed. Love the site. I don’t think I’ve seen anyone else be so thorough. Keep up the great posts. Thanks for the praise Strik3r! Glad you like us.